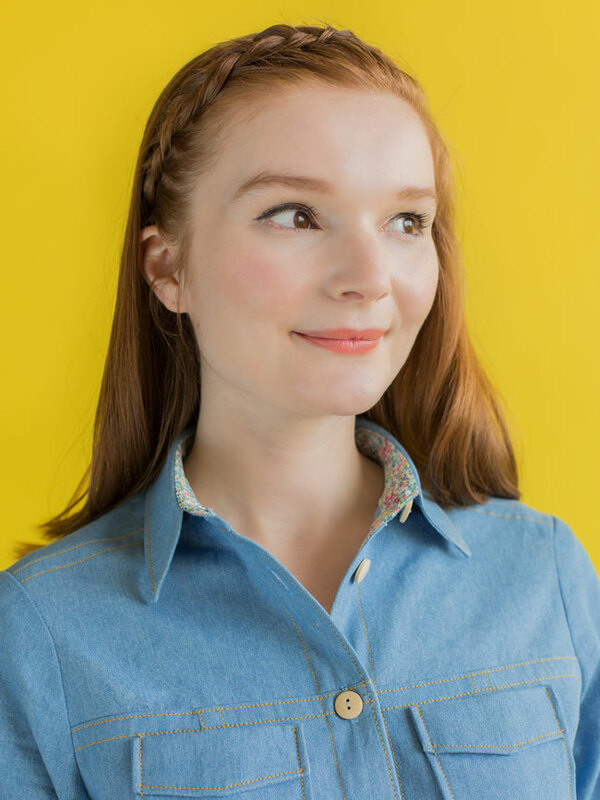 Fancy making a Rosa shirt or dress with long sleeves and cuff opening for the colder months? 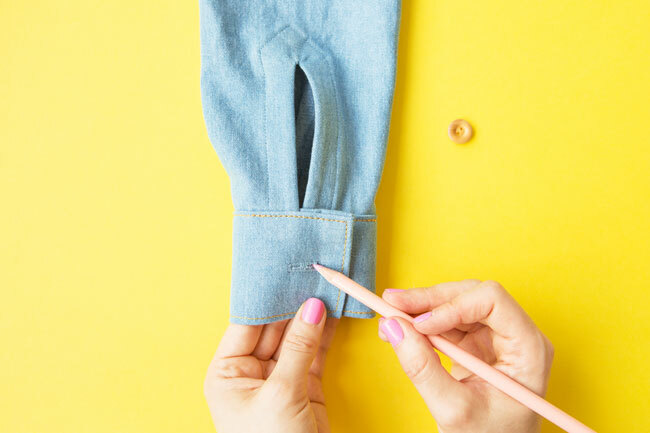 We’ve created a bonus pattern for the full length sleeves, cuffs and facings, which you can download for free, plus step-by-step instructions (below) on how to sew them together. You're welcome! 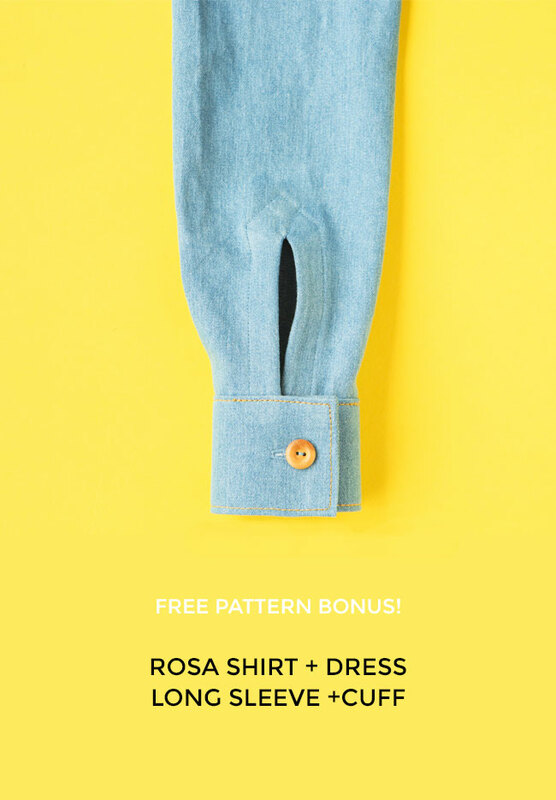 If you don't yet have the Rosa sewing pattern, you can order it from our shop - or sign up to our online workshop, Sew Your Own Shirt or Shirt Dress, which includes the pattern in the course materials and will take you step-by-step through sewing the whole garment with tons of tips and tricks. Back to the cuff and sleeve pattern - click top right of the new window to download the PDF. Open the pattern in Adobe Reader (you can download it for free), set the scale to 100% or “actual size”, print page 1 first and measure the test square to check it’s exactly 60mm (if it’s not, have another go in your print settings to print it full size). 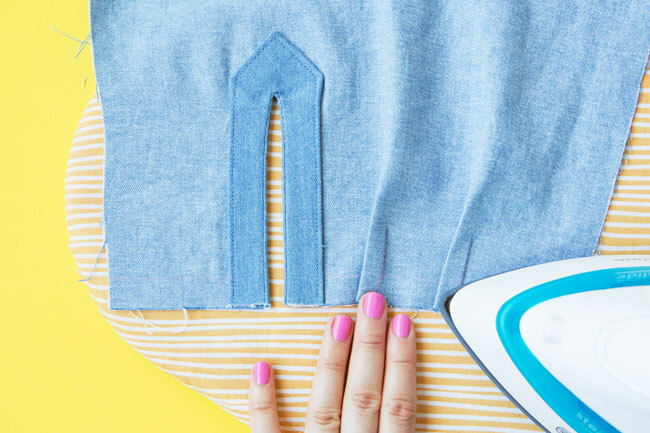 Then you can cut off the borders and stick it together – read more about printing and assembling digital sewing patterns. You’ll need 15cm (6in) of extra fabric for the cuffs. 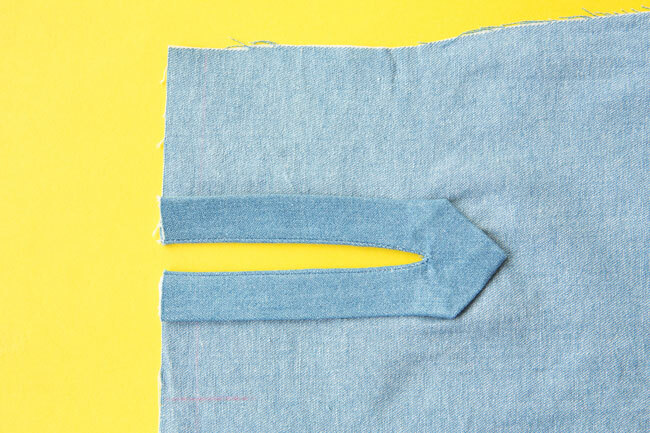 Cut 2 sleeves, 2 cuffs and 2 facings on folded fabric so they come out symmetrical. Mark and snip the notches. Mark the pleat lines on the wrong side of the sleeves and the stitching line near the hem on the right side. Mark the buttonholes on the right side of the cuffs. Mark the facing opening line on the wrong side of the facings. 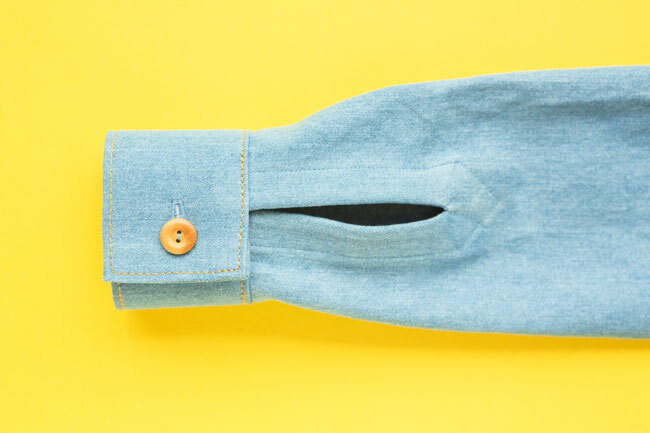 Cut 1 cuff piece in interfacing, cut it in half lengthways, then apply it to the top half of each cuff (the side with the buttonhole marked on it) on the wrong side of the fabric. Cut 2 facing pieces in interfacing and apply them to the wrong side of the facings. Sew ease stitching on the sleeve head as normal, following the instructions for the regular sleeve. Press the tops and sides of each facing under by 15mm (5/8in), wrong sides together, leaving the bottom straight edge as it is. 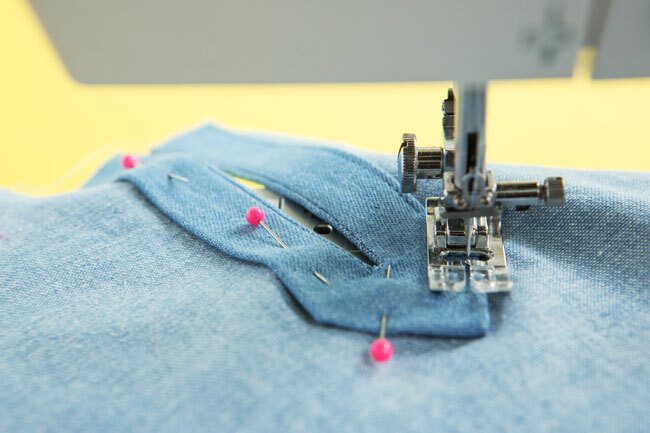 Lay a facing over each sleeve, right sides together, aligning the facing opening line with the notch on the bottom of the sleeve, and pin in place. 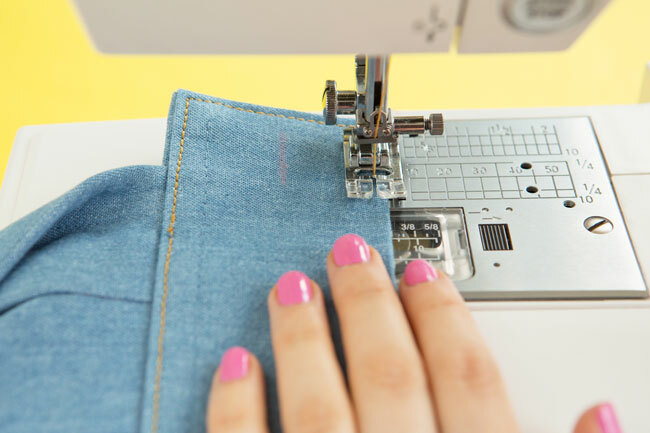 Keeping the pressed edges out of the way, stitch around the facing opening line with a 5mm (1/4in) seam allowance – when you are nearing the top of the line, gently taper towards it. 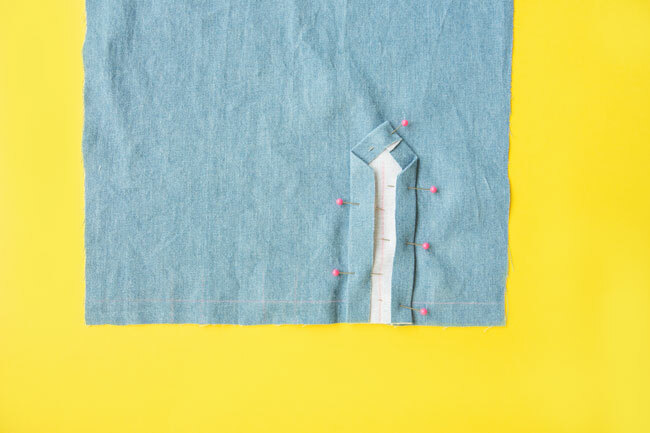 Take one stitch across the top of the line, then gently taper down the other side until you are sewing down the other side with a 5mm (1/4in) seam allowance. Carefully cut along the facing opening line through both layers of fabric. 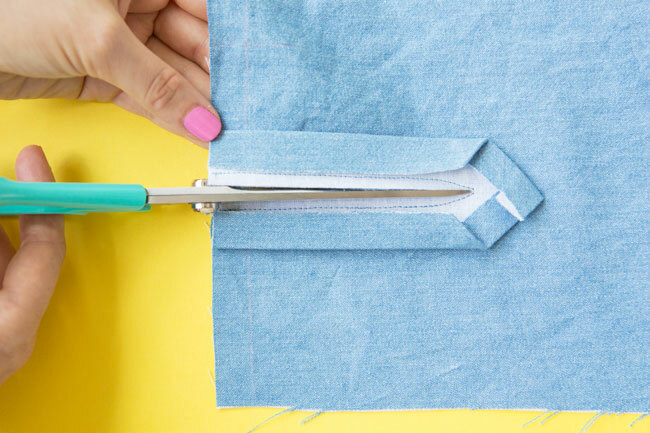 Press each side of the facing towards the cut opening, then turn it through so it’s folded to the wrong side of the sleeve. 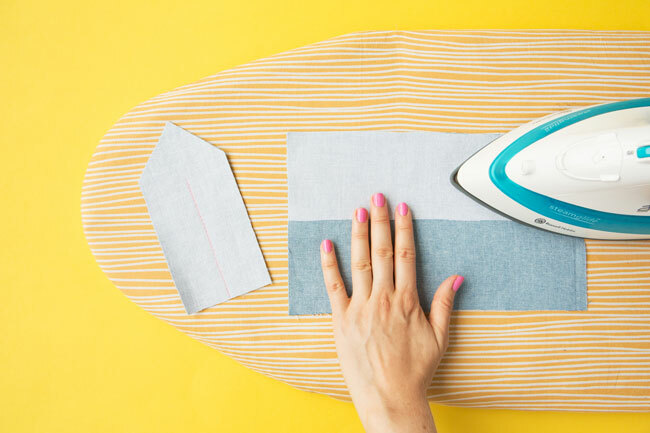 Press again, taking your time to press out any little puckers at the top of the opening – a hot, steamy iron will help. 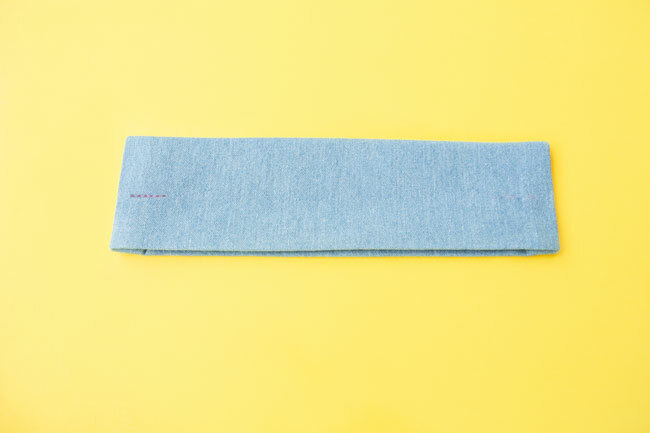 When the facing is sitting nice and flat, pin it in place on the wrong side of the sleeve. The seam allowances should still be pressed under so the raw edges aren’t visible. Edgestitch around the long and top sides 3mm (1/16in) from the edges, pivoting at each corner. 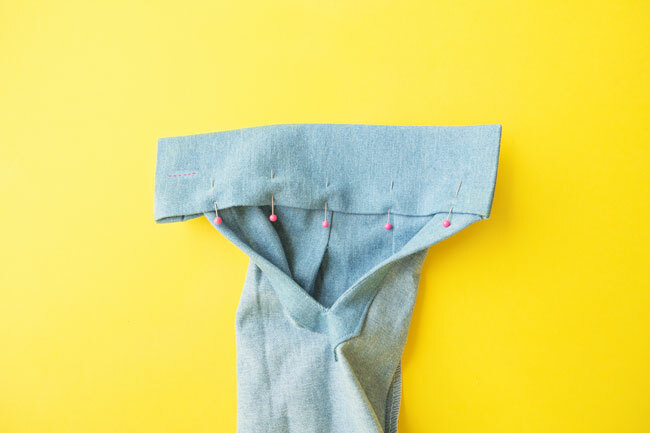 Bring together each pair of pleat lines on the bottom of the sleeve by folding the fabric right sides together. Pin in place. Sew each pleat along the lines. Press the folds towards the facing. 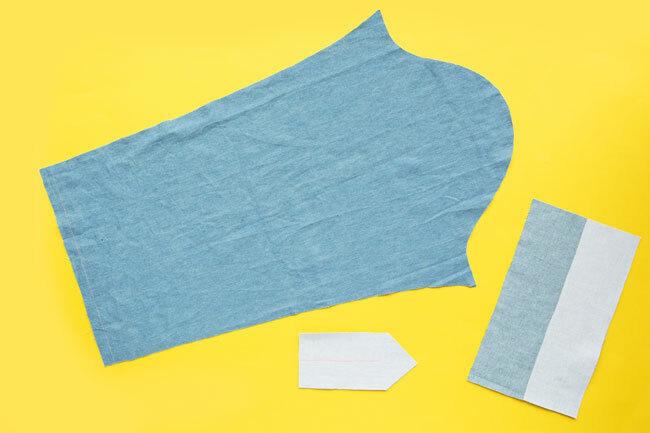 Attach the sleeves to the shirt and sew the underarm and side seams following the instructions for the regular Rosa sleeve. Trim, finish and press the seam allowances towards the back. Fold each cuff in half lengthways, right sides together, and press. Press the interfaced long edge up, wrong sides together, by 15mm (5/8in). Press the other long edge up over this first one, again by 15mm (5/8in). Stitch the short edges together. Press the short edges under along the seam line. 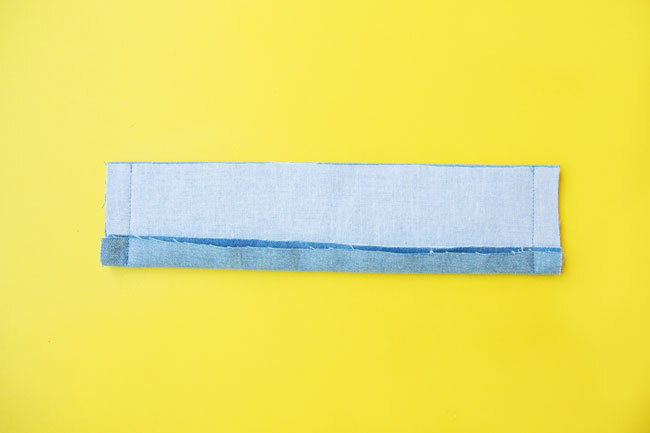 Turn the cuffs right sides out, easing out the fabric at the corners with a pin. Press, pressing both raw edges to the inside. With the sleeve turned wrong side out, sandwich the bottom edge of the sleeve inside the two layers of the cuff. 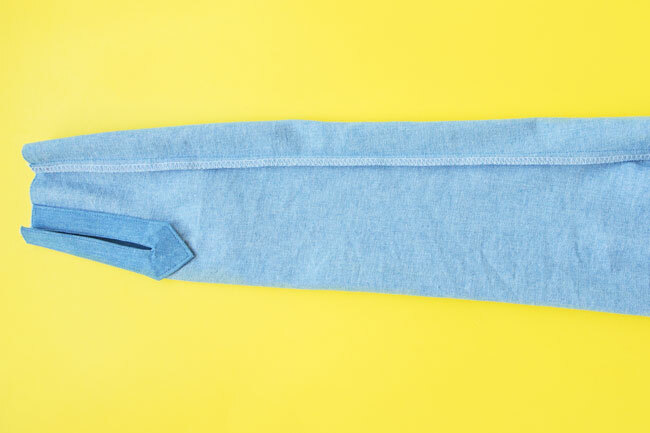 Align the interfaced side with the right side of the sleeve; the side of the cuff without the buttonhole with the edge of the faced opening closest to the underarm seam; and the folded edge of the cuff with the stitching line marking on the sleeve. The buttonhole side of the cuff should extend past the other side of the facing opening. Pin through all layers and tack (baste) them in place. Edgestitch around all four sides of each cuff with a 3mm (1/8in) seam allowance, pivoting at the corners. Stitch a buttonhole on each marking – your buttonhole should be 2-3mm (1/16-1/8in) longer than the diameter of your button. Open them up with a seam ripper. Turn the sleeve right sides out. 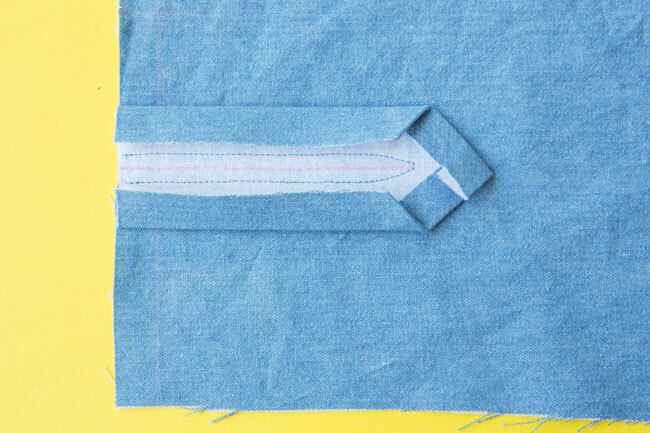 Fold the buttonhole side of the cuff over the other side so the ends of the opening just touch. Mark the button position by poking a chalk pencil or washable pen through the buttonhole, 2mm (1/16in) from the end nearest the short edge. Sew a button on each marking. And that’s it! You’ve made some lovely cuffed sleeves. I hope you enjoyed this bonus variation. 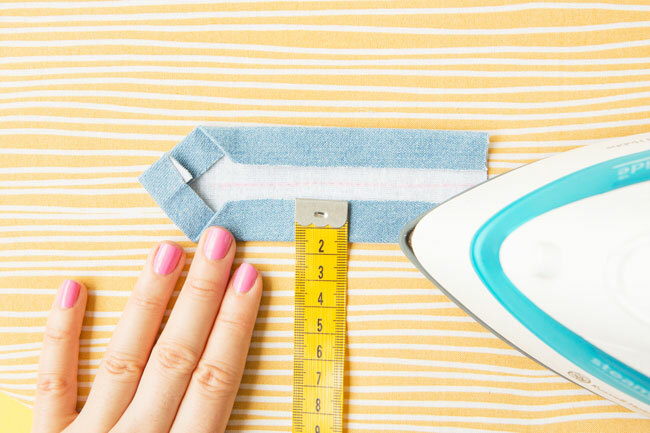 Remember to share your makes with us on Instagram @TillyButtons with the hashtag #SewingRosa so we don't miss it. Can't wait to see! Sewing Space Tours... Ashley's Sewing Sanctuary!